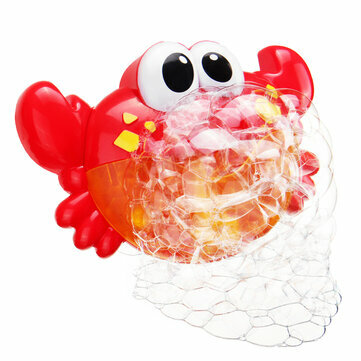 - The Bubble Machine can produce colorful bubble madness, creat a dreamlike bubble world for kids. - Easy to use, simply pour the solution into the reservoir, pushing the button to provide a steady stream of bubbles. - Easy to be fixed in the bathtub or on the bathroom wall with 3 suctions cups. - Great gift for all age of baby, it will add joy and good atmosphere to your family.